Written by Studio1337 on September 12, 2011. We’ve been working closely with the Akron Press Club during the past few months to put together a site that gives them the control and flexibility they desire, with a more modern brand and generally more appealing site design. We believe we’ve done a respectable job on this one, and we invite our friends to view our work. 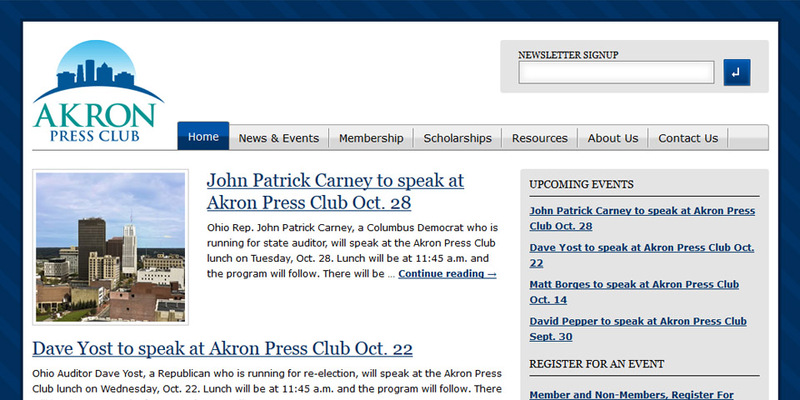 Our latest work can be found here – www.AkronPressClub.org. Enjoy!